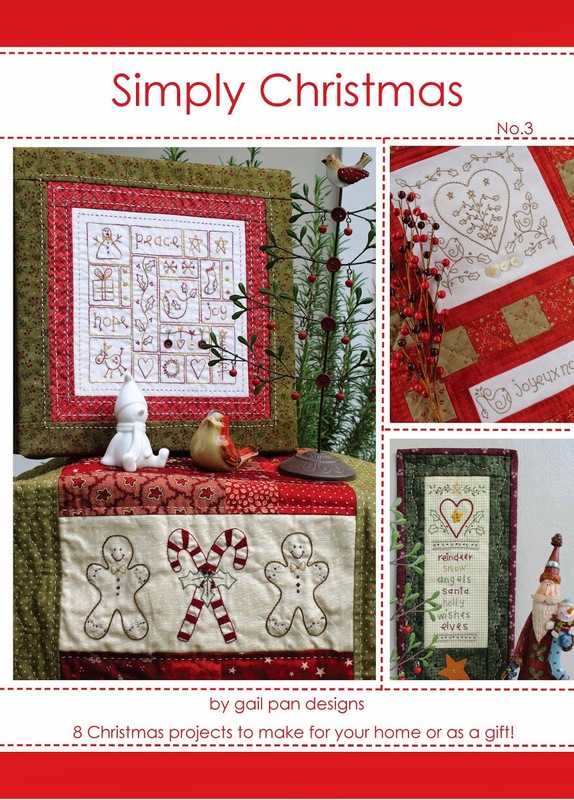 Village Quilts: Our 3rd Anniversary! Kelly works Tuesdays through Thursdays, Susan joins us on Mondays and Fridays. On our late days, Tuesday and Thursday, you'll find Erin straightening all the fabric and helping customers. And on several Saturdays a month, Catherine is a welcome addition to our staff. Our daughters, Katie and Helen, are also recruited to help when not in school. 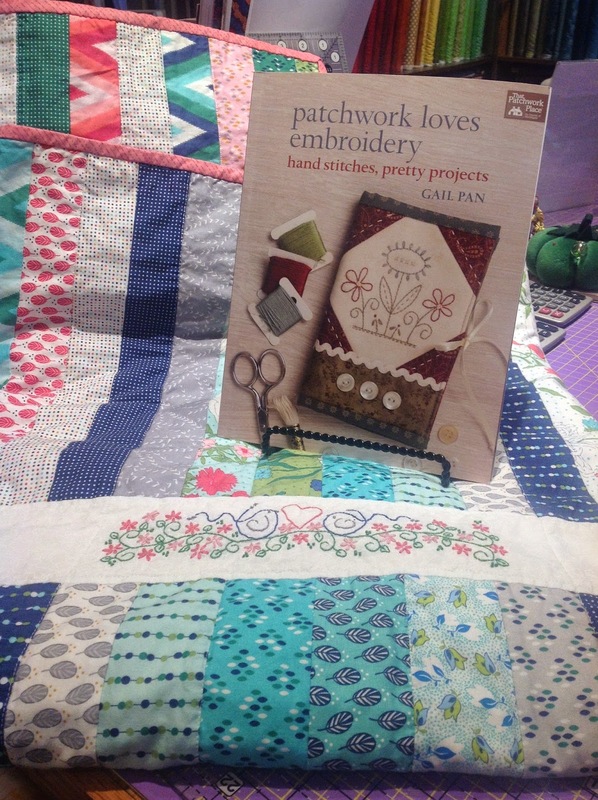 We discovered a wonderful pattern designer, Gail Pan and added several of her patterns and books. 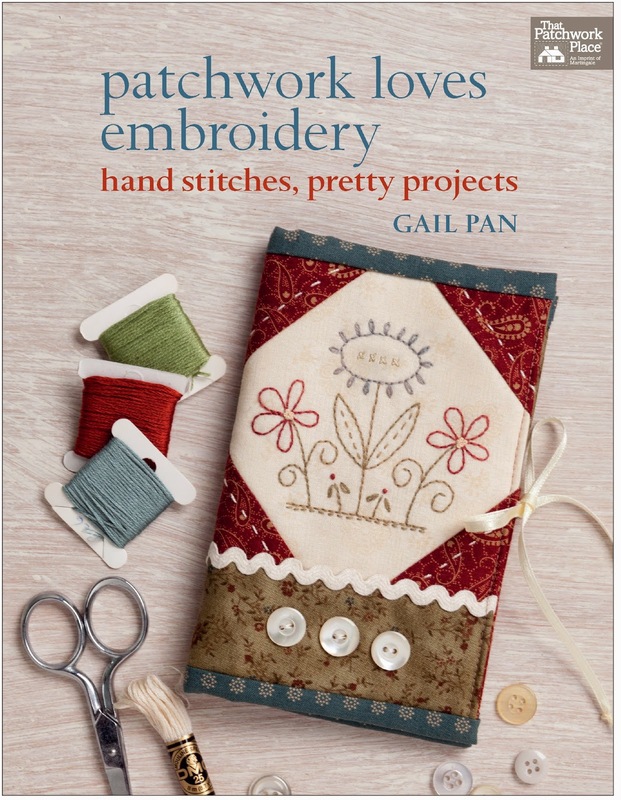 And now Gail's latest Christmas book is on its way!